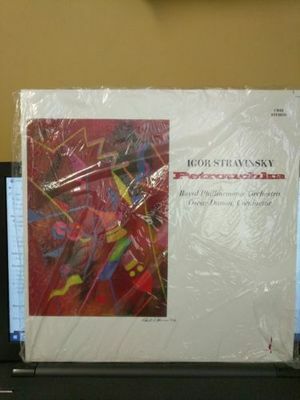 A near mint copy of the Chesky Stravinsky Petrouchka, as conducted by Oscar Danon, RPO. Catalog number CR42. A TAS listed recording, you know it's going to sound amazing. LP is near mint, honestly don't think it's ever been played. Jacket soon vg+, still housed in loose shrink wrap. Feel free to inquire with any questions. We ship worldwide except France, Italy and Russia. TELARC DG 10098 ERICH KUNZEL EIN STRAUSSFEST AUDIOPHIL LP NM VINYL FOILED COVER! THE BEATLES-WITH THE BEATLES UK MONO 1963 VINYL LP RARE GOTTA MISPRINT MINT !!! !